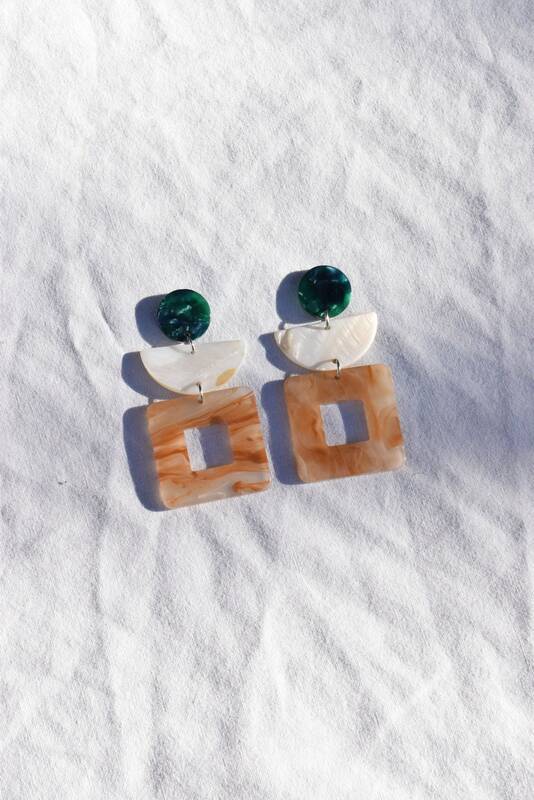 Elio Acetate & Shell Earrings. 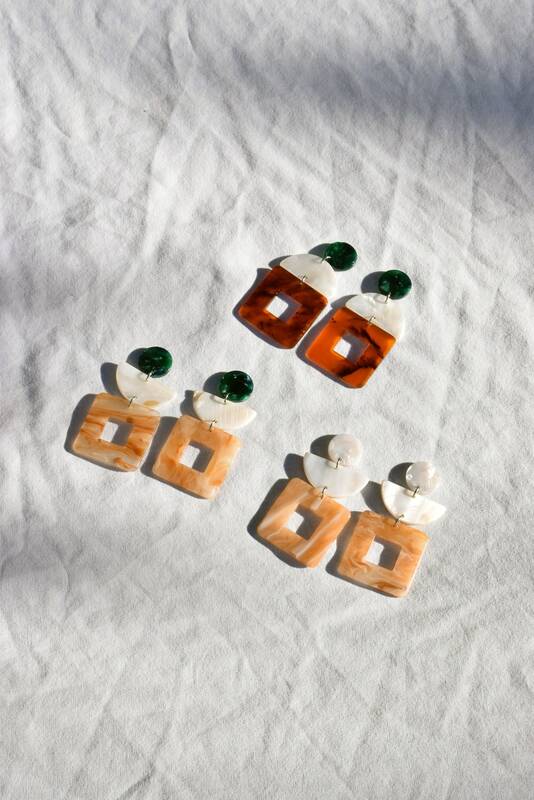 Elio earrings with champagne acetate window panes and half-moon shells. 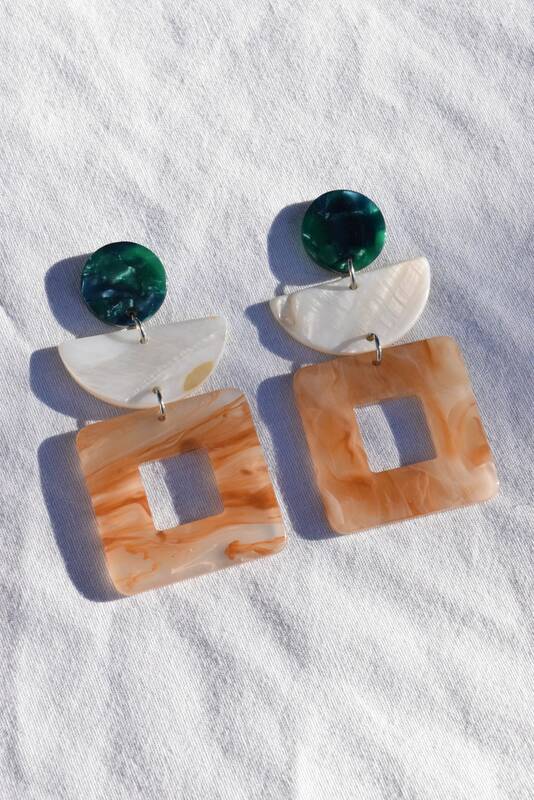 Marbled forrest green acetate backings with stainless steel posts.